The Mavericks is one of the largest youth lacrosse program in NJ, coaching boys from K-8th grade, and girls from 3rd - 8th grade. We are also the highest paying for youth lacrosse coaches, and given continued growth, we need boys and girls coaches at all levels of experience. Our season begins in early March and concludes in early June. Practice schedules include weeknights, and games primarily on weekends. Positions are available also in Summer (numerous camps, clinics and leagues), where preference is provided to spring program staff. Candidates will complete level one certification, and a criminal background check. If interested, please send an e-mail to RWGale@aol.com for an application. Be sure to indicate "coaching position" in subject line. Join in and write your own page! It's easy to do. How? Simply click here to return to Lacrosse Coaching Jobs. Join 125 other college and graduate students at a great coed summer children's camp in the Berkshires. Just 2 1/2 hours from Boston and New York City. June 17-August 13. Mostly beginner and some intermediate boy and girl players who are looking to learn lacrosse. You must be outgoing, very friendly, positive, and have lots of patience with children. A great summer job for the right person. Contact Crystal at 781-444-5520 or camp@schodack.com. On behalf of the Southlake Carroll Lacrosse Association (“SCLA”) and Varsity Dragon Lacrosse, we are pleased to announce the inception of a national search to identify elite level candidates for the organization’s Division I, Varsity Head Coach. SCLA, its parents, coaches and players, recognize the enormous potential for lacrosse in Southlake. They are seeking a dynamic leader who recognizes the systemic value of a high caliber youth program. Someone who possesses the lacrosse IQ required to design and implement a plan that will successfully elevate the reputation of the organization and its varsity players at both the state and national levels. Varsity level coaching expertise and collegiate playing experience are preferred. The Southlake community has long been known for its quality of life and standard of living, and its schools and students continue to achieve national recognition for both academic and athletic excellence. In the last school year alone, Carroll High School students, teachers, and coaches achieved state championships and/or recognition in Football, Band, Latin, National Merit Finalists, Boys’ and Girls’ Swimming/Diving, Forensics, Student Council, Winter Guard and Boys’ and Girls’ Cross Country. Numerous other teams, including but not limited to volleyball, golf, soccer, and baseball, consistently compete deep into their respective state playoffs. Though this is a salaried coaching-only opportunity, with no teaching requirements, the resources of the association and community will be fully utilized to secure additional and appropriate employment for the selected leader if requested. To apply and/or schedule a conversation regarding the role outlined above, please submit a cover letter outlining your interest along with a current copy of your coaching and professional resume to Wesley Millican at wesley@millicansolutions.com. You may also call with questions to 817-307-1199 and all inquiries will be kept strictly confidential. Thank you in advance for your time. School of the Holy Child, is looking for a varsity assistant coach and a junior varsity head coach. School of the Holy Child is an all-girls, independent school, located in Rye, NY. Don't let the name of our school fool you, we are very competitive and have competed in the New York State Association of Independent Schools State Tournament in each of the past 5 years. We have a strong feeder program with 28 currently signed up to play on our middle school team and we have 44 girls signed up to play between the varsity and the junior varsity in the high school. The pay is very solid and the girls are fantastic. Season runs from last week of March to second week of May. For more information, contact: John Pizzi, Jr., Director of Athletics and PE, School of the Holy Child, 2225 Westchester Avenue, Rye, NY 10580, j.pizzi@holychildrye.org. I am a graduate student in Tucson, AZ looking for an assitant coaching position. I played lacrosse at Desert Mountain HS (4 years) and at the University of Arizona (4 years). I am interested in a position in Arizona. thank you for your consideration. I received coach of the year on the college and high school levels several times and have been coaching lacrosse and soccer for over 20 years.Looking for a college head coaching poeition in the Tristate area of n.y./n.j/conn.P.A. Walton High School is seeking certified teachers in the Math, Science and English curriculum as well as community coaches with a lacrosse background to lead its program. Walton is the home of the 2011 Georgia 5A Boys Lacrosse State Champions. All teacher candidates must produce a Georgia Clear Renewable Teaching Certificate. If interested or seeking more information, please contact Jeff Baker by e-mail at waltonhighlax@gmail.com. Shore Kaos Girls' Club Lacrosse is hiring current collegiate players (coaching experience not necessary), former players (coaching experience not necessary), or anyone with lacrosse coaching experience to work with the girls' 2016 through 2022 teams. Club season start September 12, 2012 and runs through July 2013. We offer fall tournaments, winter indoor league play, spring league play, and summer tournaments. Visit our web site to view this upcoming season’s schedule. We’re looking for head coaches and assistant coaches to lead the whole season but we are open to consider a partial season position. The BN Warriors are a new Lacrosse Club in Central Illinois coming up on our third season. We are currently fielding boy’s teams in four age groups (HS through U11) and a girls HS team. We are looking for an experienced coach to fulfill two roles: Head HS Boys Coach as well as Club Director of Coaching. 80% of the job time will be spent coaching the HS boys team (with assistants) and 20% of the job time will be in the Director role. The focus of the Director role will be to give coaching guidance and structure to the volunteer coaches of the other age groups. For the 2013 season, this will be a well-compensated, part time position requiring a four month commitment (February – June). It is our intent to expand the position to a year round full time position for the 2013-2014 season with a greater level of emphasis on the Director responsibilities. The BN Warriors is a first rate, well-funded club. We are targeting an individual with great communications skills, HS level or higher coaching experience and the passion and drive to make us a top tier club in Illinois. This is a great ground floor opportunity to turn into a full time year round position or use as a great coaching stepping stone. Candidates must have a bachelor’s degree and ASEP certification is a strong plus. A full background check will also be conducted. Interested individuals should contact Vince Rasa, Club President. E-Mail: bnwarriors@gmail.com; Phone: 302-228-3841. Ever thought about spending an adventurous and fun time in Europe? Imagine making friend there and financing this through coaching Lacrosse!! Lacrosse Club Kiel is looking for a Coach for our two women’s and girls’ teams. Our club is one of the oldest Lacrosse Clubs in Germany. We consist of two women’s team, one men’s team and two youth teams (boys and girls). Our training facilities are right next to the University in the heart of Kiel. Right now we are trying to improve our program, to be more competitive and to qualify for the German Championship. Therefore we are looking for a coach who is motivated and willing to bring our program and our game to the next level. Interested in being part of a great Lacrosse adventure and writing Kiel Lacrosse history? Fordham University Women’s Club Lacrosse team is looking for a head coach for the 2012-2013 season who is able to take a competitive club team to a higher level. The team competes in the WCLA Division II conference from September to May. The head coach will be responsible for executing most practices, preparing for and coaching all games, and managing player substitutions during games. Practices are held in the evenings twice a week during the fall and spring seasons. There are typically 5-7 games in the fall, and 7-11 games in the spring, both typically occurring on weekends. Please send your resume and cover letter to wlacrosse@fordham.edu. Please detail your lacrosse experience and what you could bring to our team in your cover letter. Junior Varsity and assistant coaches needed for Robert E. Lee High School in Northern Virginia. This school is in the Fairfax County Public School System. These are paid part-time positions from February to May. Require playing experience and prefer some coaching experience. If interested, please e-mail me at robertabood@verizon.net. Florida, Brevard County public high schools coaches needed. Eisenhower High School located in Shelby Township, Michigan is seeking applicants for the position of boy’s lacrosse Varsity Head Coach. Eisenhower is coming off of its most successful season since its inception by advancing to the state regional finals. The school has 3 teams under the direction of the head coach: Varsity, Junior Varsity A and Junior Varsity B. Prior coaching experience and college playing experience and/or US Lacrosse Coaching Certification are required. A successful candidate will be capable of managing all player and coaching aspects of the program, including player skill and character development, college search support, coaching staff selections and management, development and implementation of an off-season training program. The head coach will be expected to promote and elevate the stature of the boy’s lacrosse program within the state and surrounding region. Administrative support will be provided by the Eisenhower Lacrosse Club Board members and volunteer parents. Applications for the position will be accepted until the next head coach is confirmed. Interviews will be set up immediately upon receipt of resumes from exceptional candidates. This is a Coaching Only Position. Looking for a Head coach for D2 MCLA lacrosse club in Pueblo, Co. second year in MCLA and team is in need of help, last coach/assistant was released from school. I have 8+ years of playing woman's lacrosse experience, playing on advanced traveling teams, under armour midwest team, being listed on ESPN Top 20-Rising Senior Goalies, playing in college a little bit, coaching 4-6th and 7/8th grade youth teams, I have a passion to coach youth and high school teams, coach at summer camps anything! The Woodlands Lacrosse Club is actively searching for coaches at all levels; 5th Grade - High School Varsity. The club includes elite club team athletes as well as beginning players. The program benefits from a local youth feeder program and has a club board that provides a strong support system. 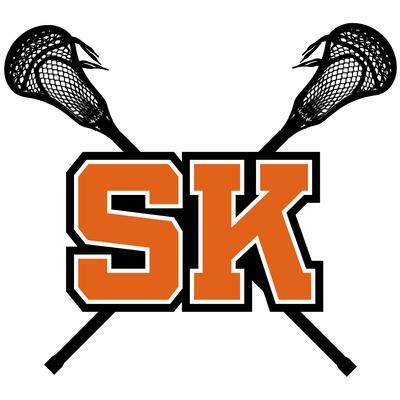 Requirements include lacrosse playing experience at the high school or preferably college level; at least two years of coaching experience; strong leadership, motivational and organizational skills; a positive attitude and enthusiasm for the sport and players. The ideal candidate should be interested in building the program and molding individual talent into a championship team while emphasizing teamwork, fundamentals, good sportsmanship, leadership, and respect. Candidates will be required to administer the program according to the principles and philosophy of the High School Varsity coaches, the board of directors and in accordance with the rules of the THSLL (Texas High School Lacrosse League). In addition, candidates must pass a background check and adhere to the coach’s code of conduct. This is a competitively paid, part-time position requiring attendance at all practices, games, and when requested, club board meetings. This is a coaching-only position; no teaching positions are available. All those interested should contact Keith Tintle at coachsearch@woodlandslax.com or 281-719-0701. Made up of over 200 families and growing at a pace of 28% over the last several years, The Woodlands Lacrosse Club is one of the premier lacrosse clubs in the Greater Houston area. It has won two of the last three City Championships at the High School Varsity level, eight consecutive 8th Grade City Championships, four consecutive 7th Grade City Championships and four consecutive City Championships at the 5th & 6th Grade level. In addition, it has one of the best youth development programs for 1st – 6th graders in area. THIS POSITION HAS BEEN FILLED THANK YOU FOR YOUR INTEREST. California State University San Marcos is a member of the MCLA and the Southwestern Lacrosse Conference Div II. Looking for a head coach willing to work with a young program with a wealth of potential. The quality of high school lacrosse has never been higher in San Diego, and considering our location and automatic acceptance area, we are looking for a coach who wants to take advantage of the situation and build our program into an SLC power. Applicants should be willing to take on the responsibilities of working with the SLC completing all required tasks of a head coach and making sure our team responsibilities are taken care of. Applicants should also be willing to work with the club's student leadership in order to work with the school. Enthusiastic coach looking for head college coaching position for either men or women for lacrosse. My teams have won 8 conference titles in lacrosse including the N.Y.state title in both lacrosse and soccer and I also received coach of the year honors several times. I recently had a life threatening illness and had to leave coaching and almost did not survive - but I am back now happy to be alive and well enough to do a super job. My extensive coaching experience includes men and women in both soccer and lacrosse. Please call 516-599-3307.N.y/N.J/ConnPenn. High School located in the South Bay in Los Angeles, looking for a head coach. Position will also include summer and fall league/tournament play. Looking to hire someone ASAP! Looking for head coaching job in Southern NH area. Strong experience and resume. Indiana University Women’s Lacrosse Club, a member of the WCLA and WCLL, is seeking a head coach for its program for the 2012-2013 season. The head coach will be responsible for organizing and executing practices, preparing for and coaching games, enforcing university and club policies, and facilitating student academic success. Practices are 3 times per week during fall ball (early September-early November) and during the competitive season (mid March-mid April). From January-spring break, practices typically fall twice a week. Minimum requirements: collegiate playing experience (club or varsity) and/or coaching experience. Preferred requirements: At least 1 year of coaching experience and playing experience at the collegiate (club or varsity) level. The position includes an experience-based financial stipend for all practices and games and club apparel. If interested, please contact iuwlax@gmail.com. Start date: August 2012. California State University Long Beach (Orange county) men’s lacrosse, a MCLA SLC Division II team, is seeking applicants for a head coach. We are a club team where student officers handle administrative duties and recruiting, and players are responsible for their own conditioning and travel. Our roster typically holds twenty-four experienced players - all played in high school and most have played two or more years with our team. We are looking for an knowledgeable coach who is experienced in implementing team-based lacrosse strategies. Minimum qualification is playing experience at the college level. Preference will be given to candidates with previous coaching experience at the high school, club or college level. Experience with how a MCLA team operates is a plus. We practice 2 - 3 days per week Sept. - Nov. and Jan. - Apr. Games occur Feb. - Apr. on Saturdays and some weekdays. Primary responsibilities include, but are not limited to, game and practice planning, implementing offensive and defensive tactics, developing team-based strategies and fulfilling SLC requirements. Qualified candidates should email a resume and cover letter, highlighting lacrosse coaching philosophy, to Nathan Hirschfeld (Club President) at nathan.hirschfeld@student.csulb.edu. A review of applicants will begin immediately, followed by an interview, with club officers and CSULB staff. Salary: Based on experience, not to exceed $3,000. Appointment: Part-Time, 7 months. Is looking for a qualified volunteer Boy's Lacrosse Coach. 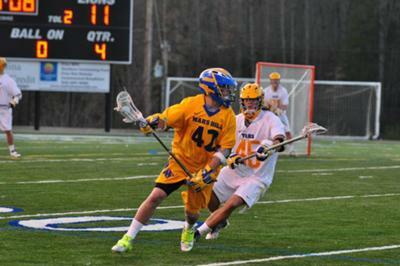 RCS Lacrosse will be fielding a Middle School & High School Boys Lacrosse Team for the 2012 - 2013 season. You coaching philosophy should include: Discipline, Hard work, Dedication and Commitment, to these young student-athletes. Handling the day to day opportunities to partake in team activities, practice, & games. Providing a condition program that will help elevate the opportunities of the lacrosse program. The qualities of a good leader should be, integrity, guidance and being supportive, and by being able to put together a program that includes these values in teaching the Sport of Lacrosse to a 2nd year program. If interested please contact Coach Rocco below. 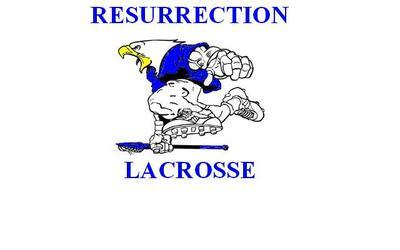 Resurrection Catholic School "Go Eagles"
Head Coach Lacrosse Club Kiel wanted .... ! The German Kiel Lacrosse Men team is searching for an experienced, motivated and dedicated head coach to lead our team and continue with the development of our youth program. We are a lacrosse club in Germany ,founded in 1995, and while we range in age and experience, we share a mutual passion to learn, work hard, and push forward the success and growth of lacrosse in Kiel and throughout Germany. Since this year we have a U16 men's team that we want to build up. Our Men's team currently plays in Division 1 North. Primary responsibilities will include organization and execution of practices, game preparation and coaching, and participation with the recruitment of future prospects. Requirements include a minimum of a bachelor’s degree as well as playing and coaching experience. College coaching experience is preferred. We offer a salary of 250Euro/month, which typically covers housing, and we will assist you with obtaining a working visa for another income-earning position such as teaching business English. With the acceptance of our head coach offer, you will be welcomed into a network of people whose goal it will be to make your transition to living in another country as smooth as possible and your experience in Germany unforgettable. We actively participate in fun tournaments throughout Europe during the year and look forward to sharing with you the European culture of lacrosse. We expect our candidate to have collegiate playing experience, coaching experience, and the dedication to work hard with us at a higher level. 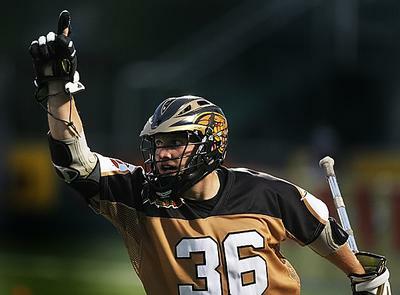 Since nearly all Germans are able to speak English, speaking German is not necessary - just a passion for lacrosse. Due to working visa requirements and processes, a college degree is appreciated, with work experience in a business-related field preferable and teaching experience helpful. The successful candidate should be organized, reliable, and committed to growing a sustainable lacrosse program. OBU is now accepting applications for its Head Women's Lacrosse Head Coaching position. Contact Steve Fluke at steve.fluke@okbu.edu if interested. I am looking for an assistant coaching job in the Central New York area. I am willing to relocate if there is assistance in moving. I am from Lafayette, NY where I played for Lafayette Jr. Sr. High. 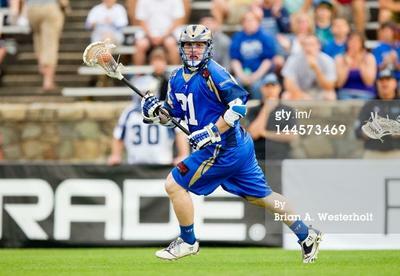 I was an All-American, New York State player of the year, and played on the Central Lacrosse Team for the Empire games. I continued on to play my college career at Loyola College in Baltimore, MD; where I was a three time All-ECAC player, two time All-American, Team MVP, participated in North/South game and nominated to the Tewaaraton Award watch list twice. 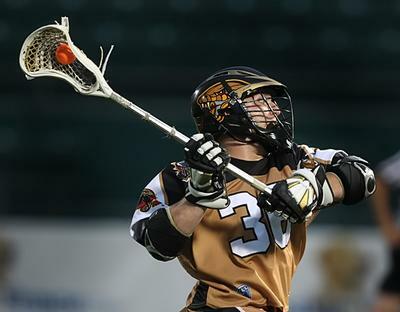 After graduating in 2007, I was drafted by the Rochester Rattlers for the MLL and Colorado Mammoth for the NLL. 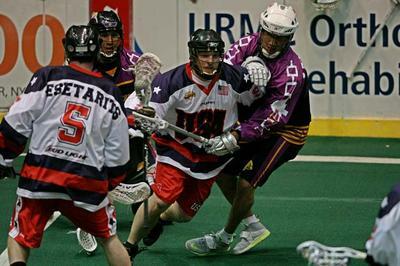 I have played with the Rochester KnightHawks, Rochester Rattlers, Charlotte Hounds, Team USA, Onondaga Redhawks and Syracuse Stingers. I have helped coach teams in the Brine Upstate Lacrosse League and at Lafayette High School along with other high schools in the area as a volunteer assistant. Also, I have coached at numerous lacrosse camps which include Loyola College, Johns Hopkins, Syracuse, Top 205, Powell Brothers Lacrosse Camps, Casey Powell Lacrosse Camps and many more. I am interested in started a coaching career and believe that I have a wealth of knowledge when it comes to the game of lacrosse and could use my experiences to benefit others. I am looking for an assistant coaching position at any level. If you would like a resume or references, please do not hesitate to contact me via email at ajspack@loyola.edu or feel free to call me at 315-256-8713 at any time. Thank you. IONIA MICHIGAN HIGH SCHOOL GIRLS AND BOYS LACROSSE COACHES AND ASSISTANT COACHES NEEDED! Ionia Michigan High School Boys Lacrosse team is looking for an Assistant Coach and the Ionia Michigan Girls High School Lacrosse team is looking for a Coach and an Assistant Coach. This is a Club sport for both. The Red Rhinos Lacrosse club from Belgium is searching for an experienced, motivated and dedicated coaches (men and women) to lead our team and continue with the development of our program. We are a lacrosse club in Belgium,founded in 2009, and while we range in age and experience, we share a mutual passion to learn, work hard, and push forward the success and growth of lacrosse around Brussels and throughout Belgium. Our men's team is still champion and the girls are runner-up. Requirements include a minimum of coaching experience. We will try to offer what you need. And we will assist you with obtaining a working visa for another income-earning positions. With the acceptance of our coach offer, you will be welcomed into a network of people whose goal it will be to make your transition to living in another country as smooth as possible and your experience in Belgium unforgettable. We actively participate in fun tournaments throughout Europe during the year and look forward to sharing with you the European culture of lacrosse. We expect our candidate to have coaching experience, and the dedication to work hard with us at a higher level. 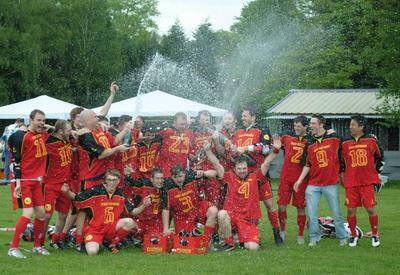 Since nearly all Belgians are able to speak English, speaking Dutch is not necessary - just a passion for lacrosse. We have players from all over the world (Japan, Finland, Germany, ...).The successful candidate should be organized, reliable, and committed to growing a sustainable lacrosse program. 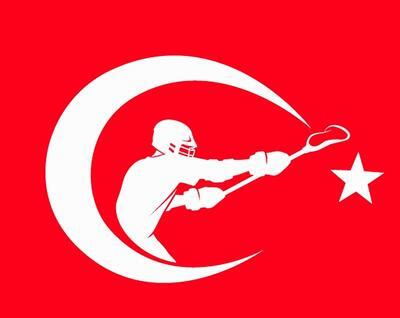 Help us to actively push lacrosse in Germany forward and take the opportunity to experience lacrosse in Europe! To apply, please e-mail your lacrosse-related resume along with a brief description about yourself. We look forward to speaking with you about all the opportunities and experiences awaiting you. Becker College an NCAA DIII program is in search of a first assistant to coordinate the defense. This position is part-time and includes a stipend, no other benefits are included. The right candidate should live in Central Massachusetts or be willing to relocate to the area. Candidates must possess a bachelors degree and have previous college playing experience. A CORI check will be required prior to finalizing the appointment. Along with being responsible for developing practice plans for the defense and player development. The candidate will aid in recruiting student athletes that fit the colleges admissions standards. This is a great opportunity for a graduating senior, or an assistant coach looking to move up to a coordinator position. If you are interested please contact, or would like to recommend a recent graduate please contact, Head Men's Lacrosse Coach, Shawn Degnan at shawn.degnan@becker.edu. Boys' Head Coach (Varsity). Available: September 2012. Deadline: September 30, 2012. Cedar Ridge High School Lacrosse Club is seeking a D-II head varsity coach. The club competes in Texas High School Lacrosse League (THSLL) D-II varsity and JV. This is a coaching position only. Ideal candidate will have experience playing or coaching lacrosse at the high school or college level; demonstrated strong leadership and organizational skills; a positive attitude and enthusiasm for the sport; and an ability to effectively motivate and develop the experienced player. * Pass a RRISD-mandated background check. * A positive attitude and enthusiasm for lacrosse, coaching, and mentoring our youth. * CPR certification (Basic Life Support) or willingness to be certified within the first semester. * Attend all practices and games. * Attend required meetings as outlined by the Club Board.